Our hybrid LARP weapons at LARP Distribution combine a traditional foam and latex construction with an injection molded polyurethane hilt to create a durable and detailed weapon. 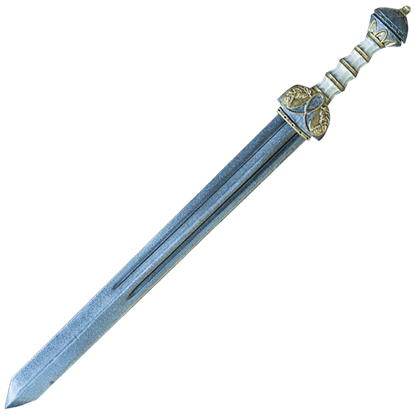 This means the hilt is relatively maintenance free. The blade is safe for general LARP combat, being made of latex coated, closed cell foam around a sturdy fiberglass core. We have a variety of LARP swords and LARP weapons in this category to choose from in popular medieval and fantasy designs. 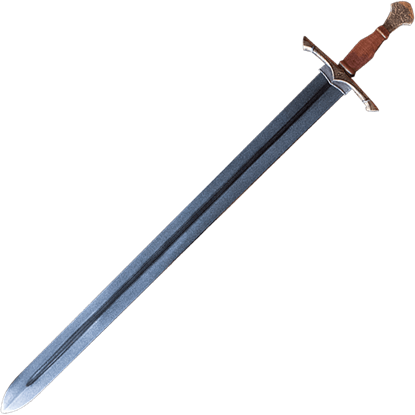 We carry hybrid LARP swords here in many different styles, including long swords and short swords, Elven LARP swords, Roman swords, oriental swords, and medieval LARP swords. The duty of a squire was to serve under an experienced knight, training to one day fulfill this noble role. The Diligent Squire Long LARP Sword harkens back to days of fundamental training with its unassuming, yet elegant design. Every day you rise early, ensuring the Master is ready for the noble tasks that await a brave knight. Opportunities to train are far and few, but with the Diligent Squire Short LARP Sword at your side, you may do so at a moments notice. 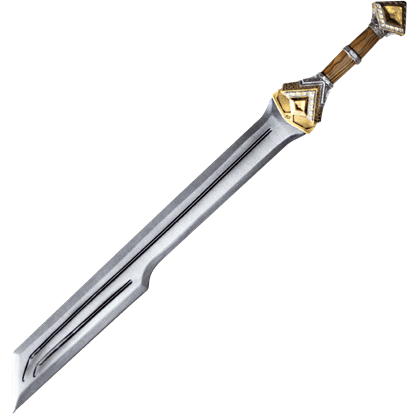 Deep within their mines, dwarves were known to craft fine and sturdy weapons with the rare materials they found. The Dwarf Double Edge Long LARP Sword pays homage to these mythical people with its beautiful and resilient design. 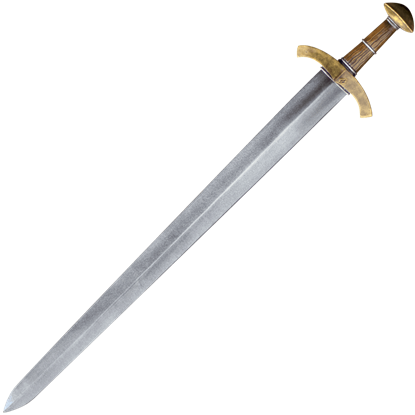 Inspired by the weapons wielded by a mythical, ground-dwelling people, the Dwarf Single Edge LARP Sword features a slip-resistant and sturdy polyurethane foam cast hilt, beautifully detailed for an ornate and realistic appearance. 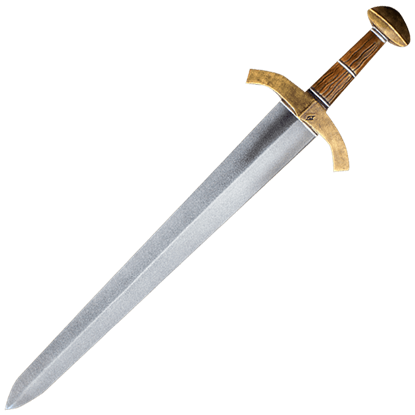 With its beautifully detailed hilt, formidable blade shape, and sturdy, reliable construction, the Dwarf Single Edge Long LARP Sword is a remarkable live action roleplay weapon that honors the style of its fantasy inspiration. Inspired by the traditional Chinese weapon, the Jian LARP Sword is a remarkable LARP blade that pays tribute to its Eastern origins with a beautifully detailed hilt cast from polyurethane foam, sure to impress any LARP sword wielder. Out of the four major weapons of Chinese martial arts, the straight sword or Jian is considered the gentleman of all weapons. 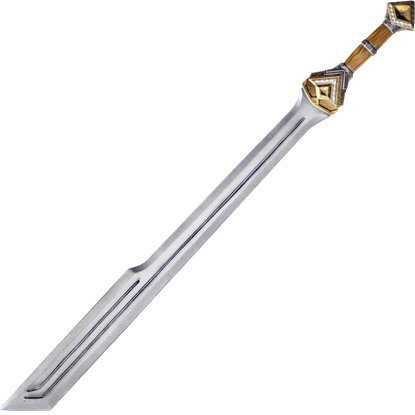 The Jian Short LARP Sword takes inspiration from this ancient blade and proves its worth during battle. An elegant foam latex weapon inspired by the traditional Chinese blade that long ago defended the Ancient Empire of China, the Jian Long LARP Sword is a beautiful and trustworthy blade to wield at your next live action roleplay event. 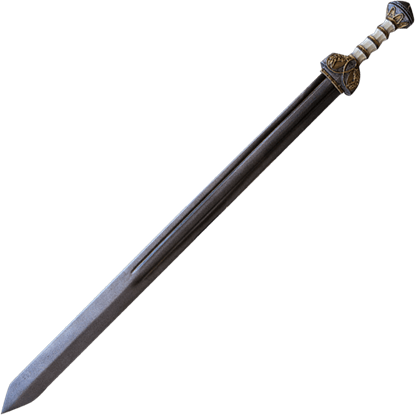 Take to the arena or prove your worth on the battlefield when you wield the LARP Roman Short Spatha. Inspired by the weaponry of ancient Rome, this high quality LARP sword is based on the standard blade used by heavy infantry. 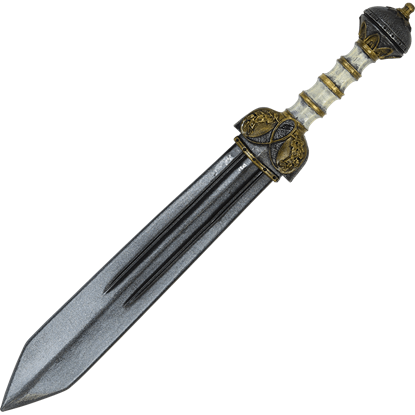 Become a legend in the arena or reveal great prowess on the battlefield, the LARP Roman Spatha lends its strength to your role. Its historical counterpart derived from Hispania and became the standard weapon of the heavy infantry. Reveal matchless prowess and loyalty to the Roman Empire as a soldier of the heavy infantry, or earn freedom and renown as a gladiator of the arena. Regardless of the chosen role, the LARP Long Roman Spatha serves well in battle. Contribute to the prosperity and wellbeing of a high fantasy kingdom as a tracker and huntsman to the royal family, or partake in a quest to rid the lands of a great evil as an Elven scout with the LARP Ranger Long Sword in hand.